A Texas woman convicted of the starvation and torture death of her girlfriend’s 9-year-old son a decade ago was executed this evening. Lisa Coleman, 38, received a lethal injection after the Supreme Court rejected a last-day appeal to spare her. She was pronounced dead at 6:24pm local time, 12 minutes after Texas Department of Criminal Justice officials began administering a lethal dose of pentobarbital. 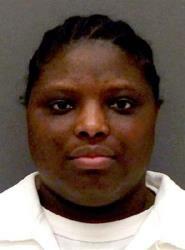 Coleman became the ninth convicted killer and second woman to receive lethal injection in Texas this year. Nationally, she’s the 15th woman executed since the Supreme Court in 1976 allowed the death penalty to resume. During that same time, nearly 1,400 men have been put to death. Coleman was condemned for the death of Davontae Williams, whose emaciated body was found in July 2004 at the North Texas apartment Coleman shared with his mother, Marcella Williams. Paramedics who found him dead said they were shocked to learn his age. He weighed 36 pounds, about half that of a normal 9-year-old. A pediatrician later would testify that he had more than 250 distinct injuries, including burns from cigarettes or cigars and scars from ligatures, and that a lack of food made him stop growing. “There was not an inch on his body that [had] not been bruised or scarred or injured,” said Dixie Bersano, one of Coleman’s trial prosecutors. The boy’s mother is serving a life sentence.